ViewSonic has released its two new laptops which are named as VNB141 ViewBook and VNB132 ViewBook. The VNB132 and VNB141 ViewBooks have been designed in thin and lightweight concept for students and people who on the move. The ViewSonic VNB141 ViewBook is featured with a 14-inch display and is equipped with a 1.3-megapixel webcam. 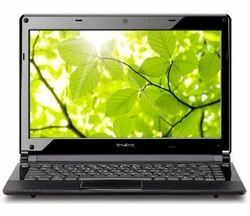 It is powered by a ULV SU7300 Intel Core 2 Duo processor and run on Windows 7 Home Premium operating system, comes with a 240GB hard drive and 2GB of RAM, has built-in two USB ports, VGA and HDMI outputs. Moreover, it comes with a 6 cell battery, DVD RW Super Multi Drive and supports 802.11b/g/n wireless connectivity. On the other hand, the ViewSonic VNB132 is featured with a 13.3-inch display and is equipped with a 1.3-megapixel webcam. It is powered by a ULV SU2300 Intel Celeron processor and run on Windows 7 Home Premium operating system, and comes with a 320GB hard drive and 2GB of RAM, has built-in three USB ports, a 7-in-1 card reader, VGA and HDMI outputs. In addition, it comes with a 4 cell battery and supports 802.11b/g/n wireless connectivity. The ViewSonic VNB141 and VNB132 ViewBooks are available with the price tag of $829 and $649 respectively.